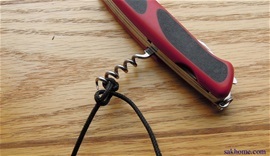 The awl and corkscrew on the Ranger knives or other SAKs can be used for many different tasks. 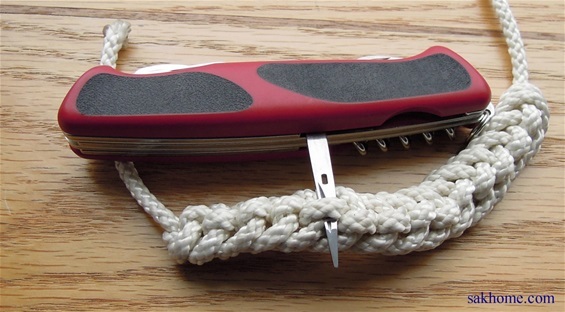 The corkscrew can be used to open knots and for different rope work. It is much more than just a corkscrew to open a bottle of wine with. 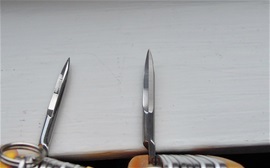 Many wonder about the Wenger awl and why it is not made or designed to be used for cutting a hole. This awl is very different in philosophy and it can be used on rope without damaging the fibers. This can also be used as a sacking needle on wood sacks or similar tasks. 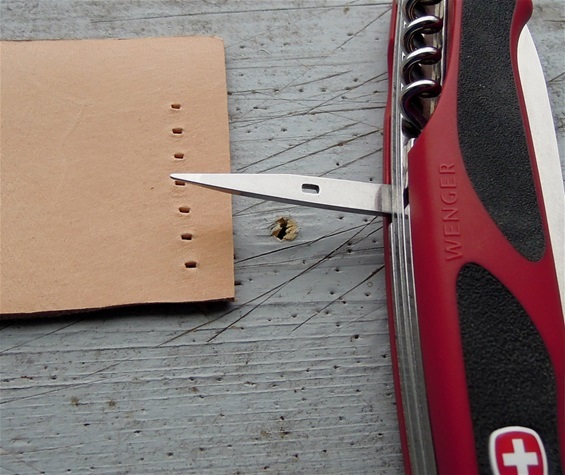 The special tip can be used to make holes in cans and to make a starter hole in wood for a screw. It can also make the special holes in leather. I use a wood board under when using the awl on leather. It goes through thick leather without any problem at all. Please take a look on my other pages on the Ranger knives. The Mike Horn Awl/reamer on the right is a very developed tool for drilling and much more.